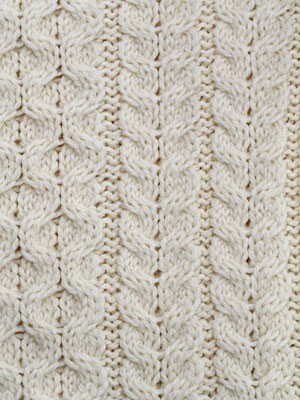 Warm and nice, this AranCrafts branded scarf is handknitted. It is lined with fine twists in its length, some diamonds are represented centrally and baskets as well as honeycombs complete this craft model. Made of 100% merino wool, it measures 156 cm long + fringes of 15 cm and 24 cm wide. Its natural color blends perfectly with all other colors.